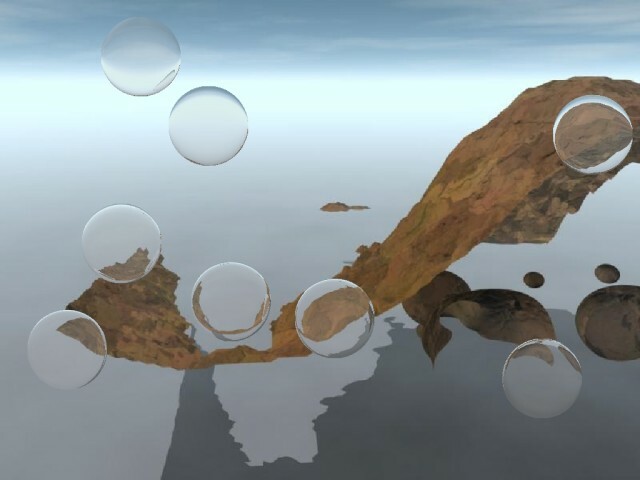 The Bubbloid screensaver features a collection of 3D rendered images with bubbles floating gently over them. You can set the number and size of the bubbles. Choose a background from the included collection or load one of your own images. - Size of the bubbles, depending on screensize and number of bubbles. - Background: choose one of eight 3D-images or use one of your own images.